How is a bag born? 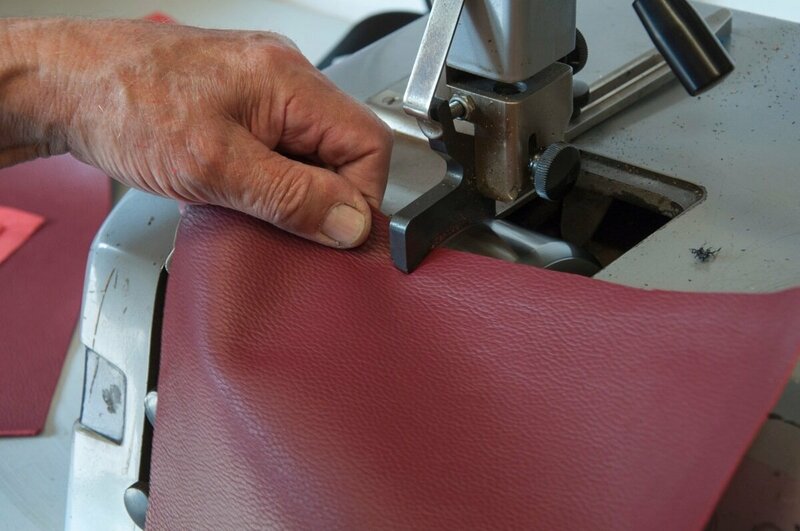 Our collection of handbags is created by Venetian craftspeople who show close attention to every detail of our products, from fabric cutting to finishes. This production process is extremely hard and complex, taking great skill, a lot of patience and precision: here’s a detailed account of some of its most complicated stages. 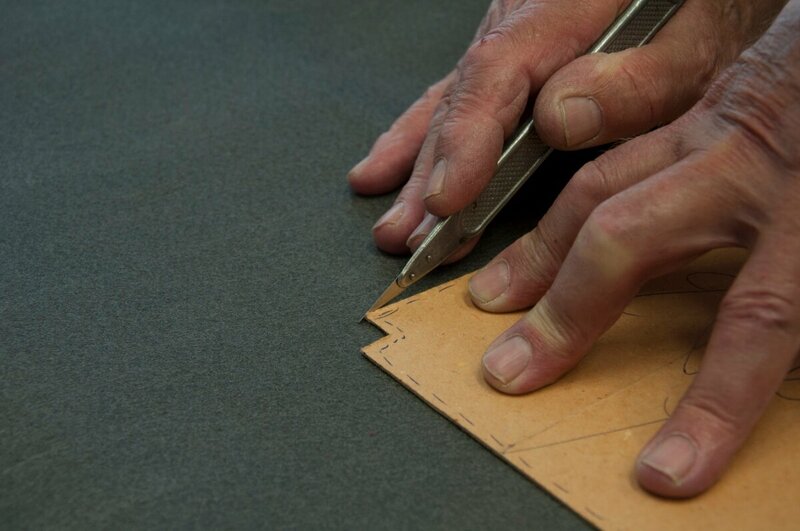 First of all, the craftspeople we collaborate with create the cardboard jigs, the templates for each of the bag’s profiles. 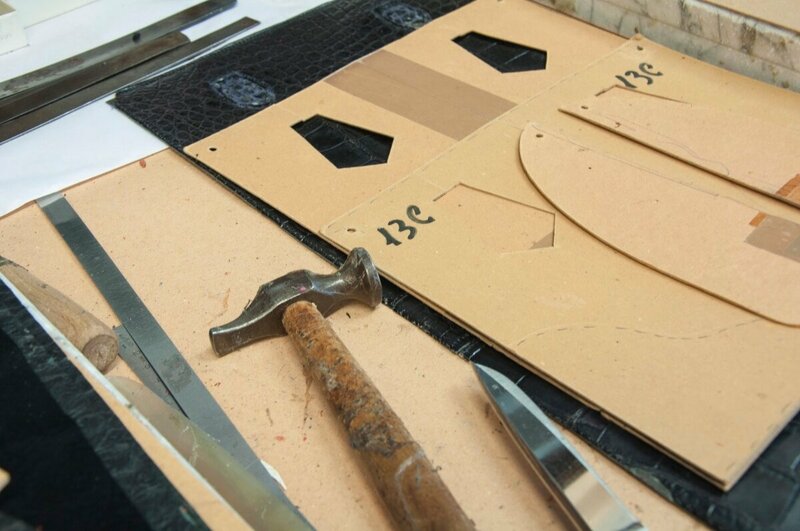 He’ll then use these forms to cut fabrics, leather and all of the parts that make up our handbags: sides, bottoms, trimmings and any handles or shoulder strap, such as those you find on the Elena and Peggy bags. 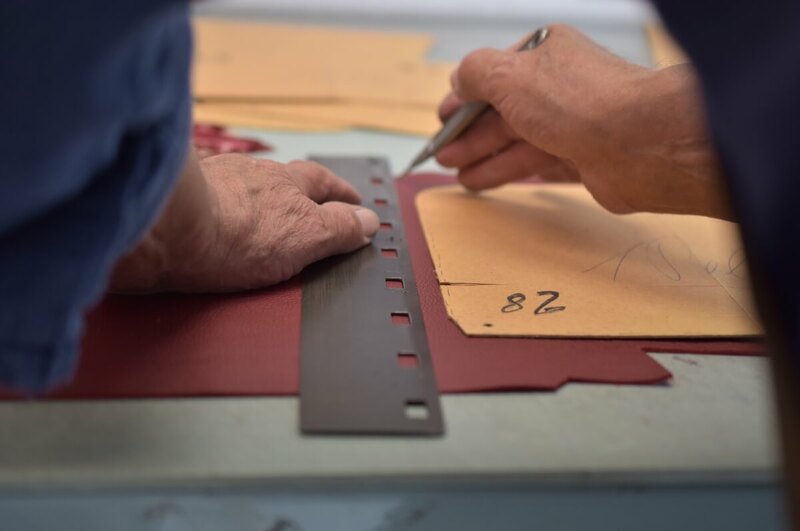 Leather must then be thinned, thus making it softer and easier to work with, so that the craftspeople can assemble the product to perfection: this stage is called “skiving”. 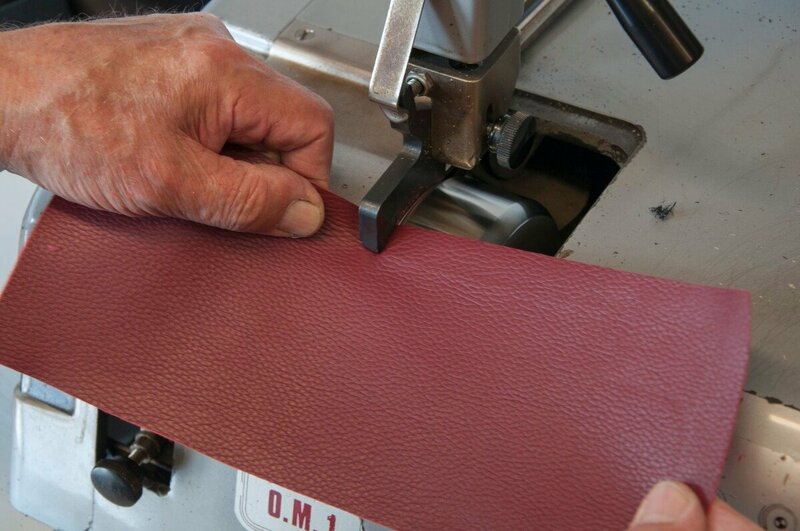 Leather and velvet alone can’t hold a handbag’s shape: that’s why one must add some padding inside it, that gives the bag its structure and body. 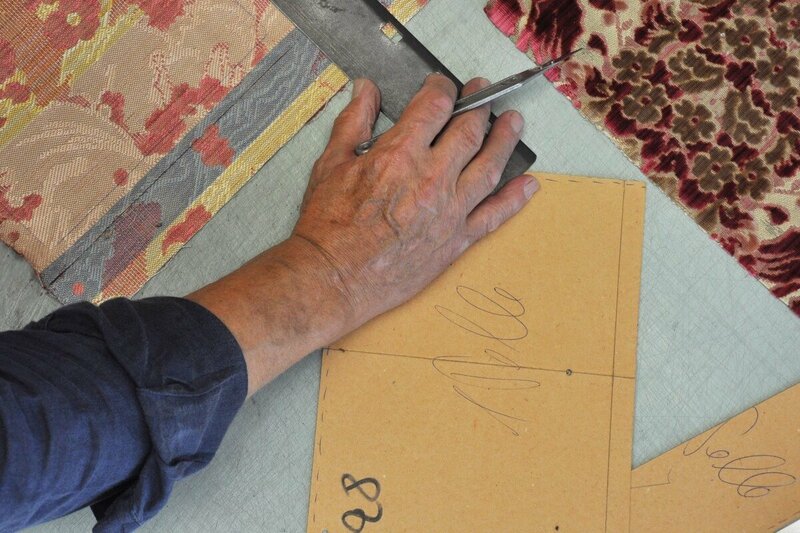 The padding the craftspeople use is a particular kind of felt, which their expert hands cut and sew, before they use a “plater” to press all materials together and make them uniform. Finally, they fold and sew up each of the accessory’s sections and attach its various metal parts, such as zips, buckles and clasps. According to the model, each handbag contains one or more pockets, showing the company’s logo, stitched on a strip of cloth. 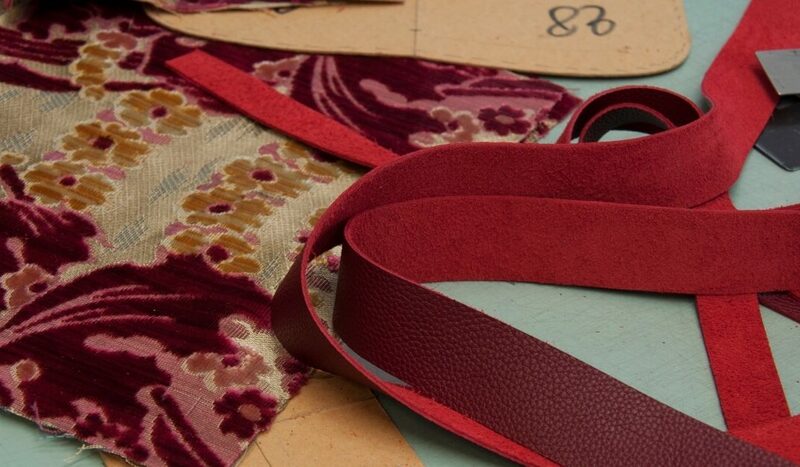 Each of the accessories thus created is unique because covered in the luxury fabrics of our collection and paired with carefully picked Italian leather. 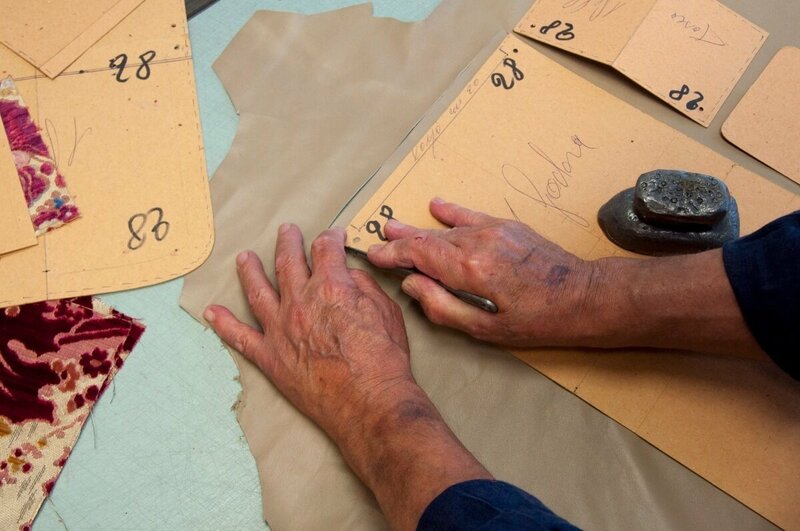 The making of a handbag usually takes two days. 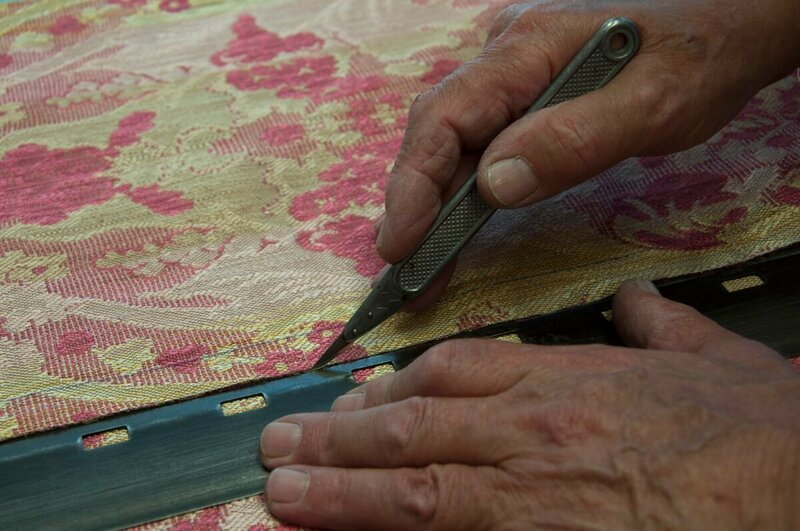 Thanks to the commitment of these craftspeople we can produce these masterpieces where preciousness and elegance meet the exceptional Venetian mastery.